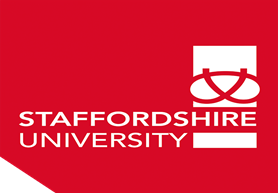 · Staffordshire University is a university in Staffordshire, England. It has two main campuses based in the city of Stoke-on-Trent and in the county town of Stafford, with other campuses in Lichfield and Shrewsbury. · 2 years Extended International Masters Programme (ExIMP) in Computing and Engineering. Scholarships up to £3,000 available for international students. · MBA available for candidates holding 1 year of work experience after Bachelor’s. · Good industry connections for employment opportunities and low cost of living. · Animation and many more…. For degree level study (undergraduate and postgraduate), the minimum entry requirement is overall 6.0 with minimum 5.5 in each band. Postgraduate MA Creative Futures and Undergraduate BA(Hons) Creative Writing: Minimum requirement of IELTS 6.5*. Available to international students enrolling for the first time on campus in September 2016 or January 2017. Undergraduate: Automatic £1,000 Scholarship for applicants who meet the published entry requirements. Submit all your Educational documents with Passport and Resume to Process your application to omvishal.shah@gmail.com / info@omvisas.in OR Call : 9227656616/06 for more details.